You’re Such A Tease!! 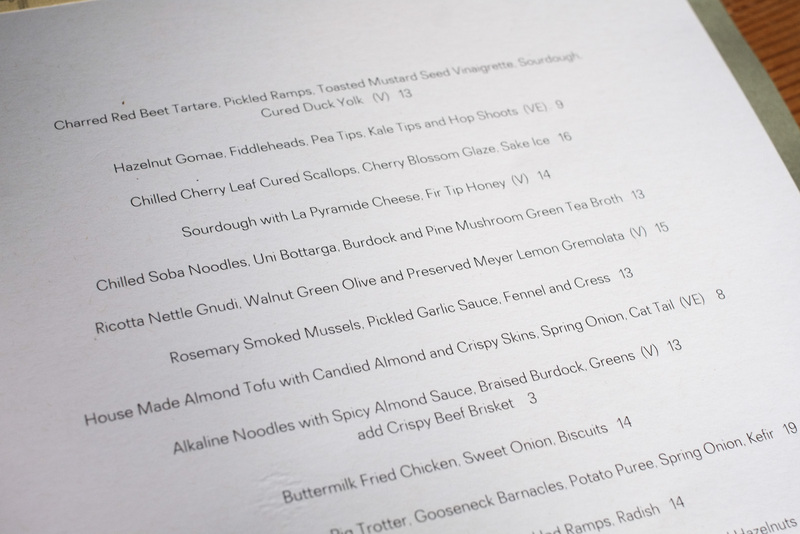 Dinner at Burdock & Co.
Let’s do this! Funny how you can see the old Cafeteria lettering on the window. Never noticed that before… But each successive restaurant that’s occupied this space has been better and better! 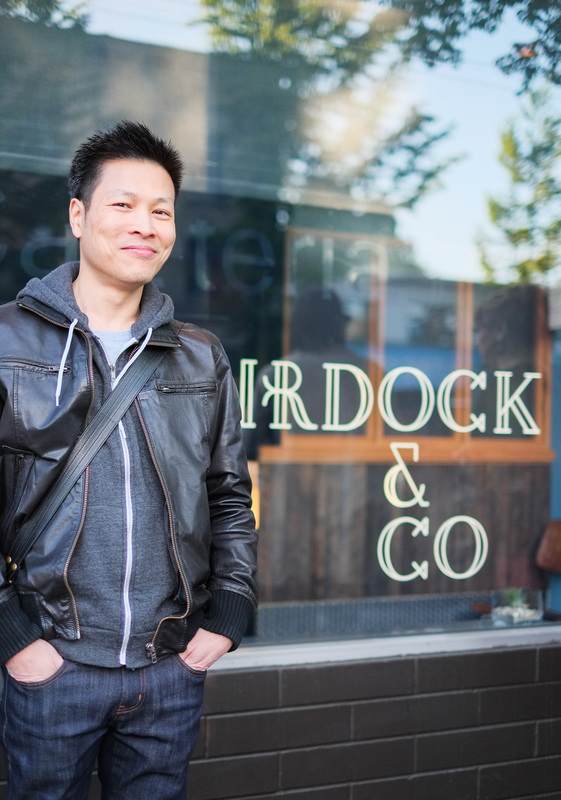 I hope Burdock & Co. stays here for a long time! Several of these dishes are also available on their brunch menu. I’m growing to love the small plates/share plates way of dining because I actually have a small appetite, and sharing this way means I can get a bigger variety of tastes and experiences in my mouth! 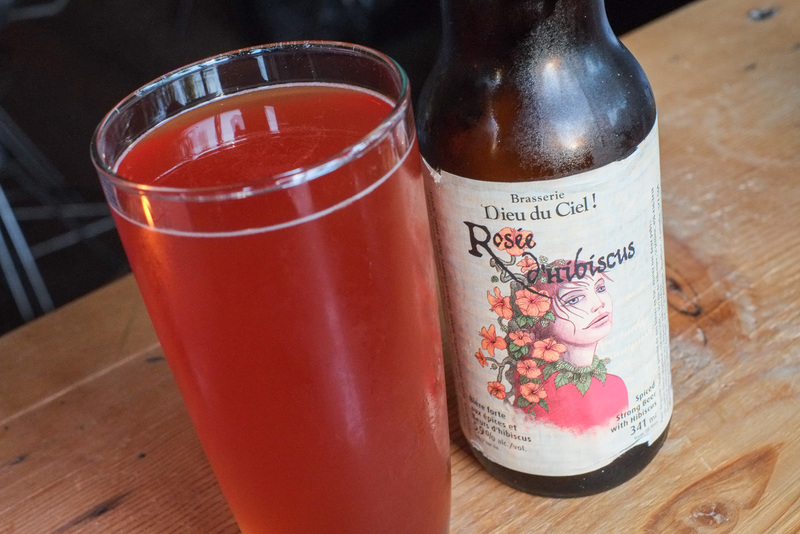 Glad to see that they have Dieu du Ciel’s Rosee D’Hibiscus beer. Lovely colour that’s a bit of a mindfuck in that you expect a sweet fruity taste but you actually get a dry, floral beer with just a hint of sweetness. I think it works as a starter beer OR a beer to finish with if you want a cleanser. I like that the carbonation in this beer isn’t too high…works great. 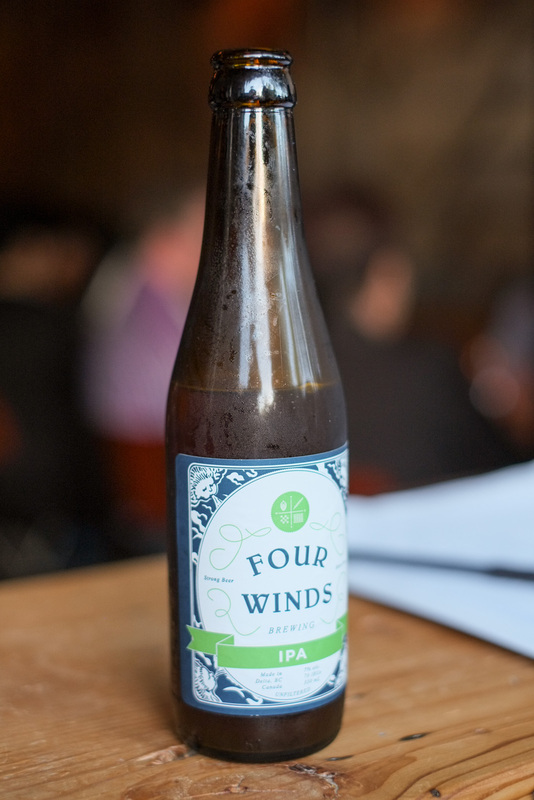 They’re also stocking Four Winds IPA now 🙂 One tasty IPA. Much easier to drink than the 7% ABV would suggest. 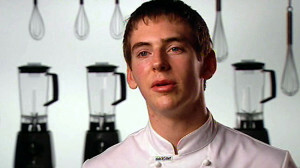 Masterchef Australia’s Season 2 Runner-up Callum Hann. We got seated at the bar. 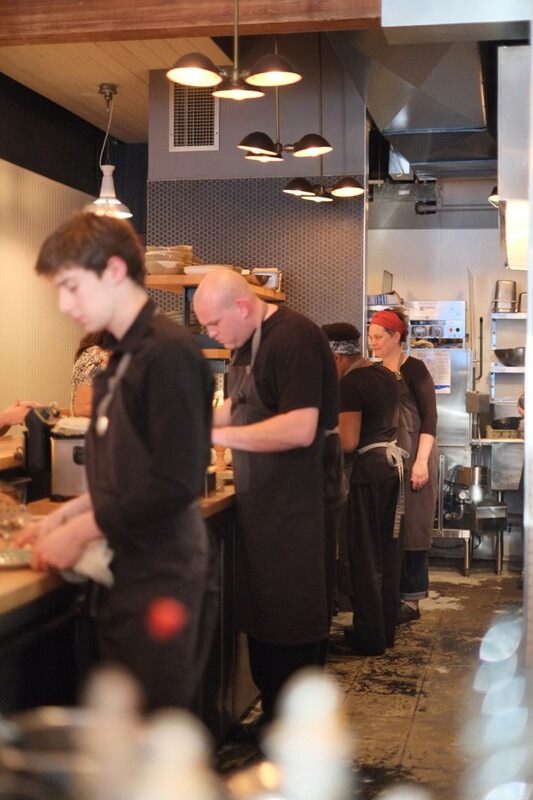 Awesome view of the open kitchen. The cook in front is actually 17 years old!! He seemed very assured in the kitchen. Reminds me of MasterChef Australia’s Callum Hann (right). While it was fun sitting at the bar, it’s very dark back there so the photos aren’t the best :/ But I hope you can still enjoy them and get a sense of how our dinner went! 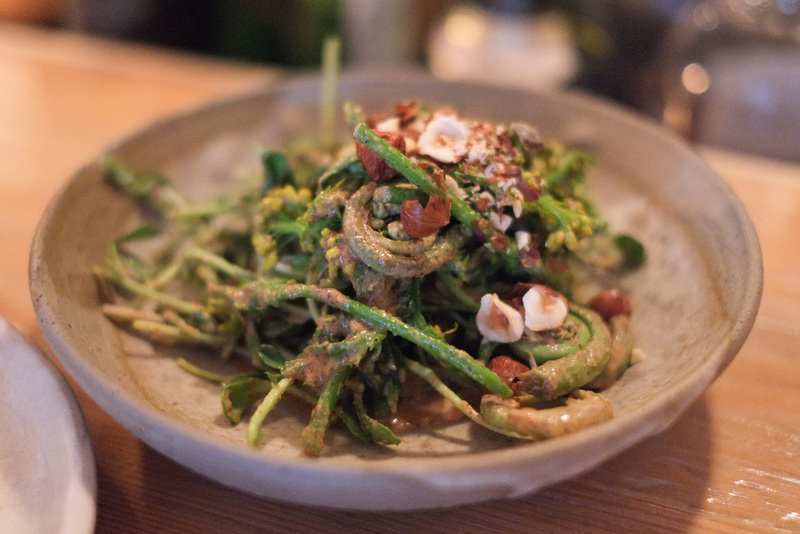 Burdock’s menu descriptions are so good I’ll just copy ‘n paste: Hazelnut Gomae, Fiddleheads, Pea Tips, Kale Tips and Hop Shoots. This was like gomae on sterioids. I love all the alternative veggies in here. The gomae concept totally works with hazelnuts instead of sesame seeds! Chilled Cherry Leaf Cured Scallops, Cherry Blossom Glaze, Sake Ice. Frankly, this was the least-liked dish of the night. 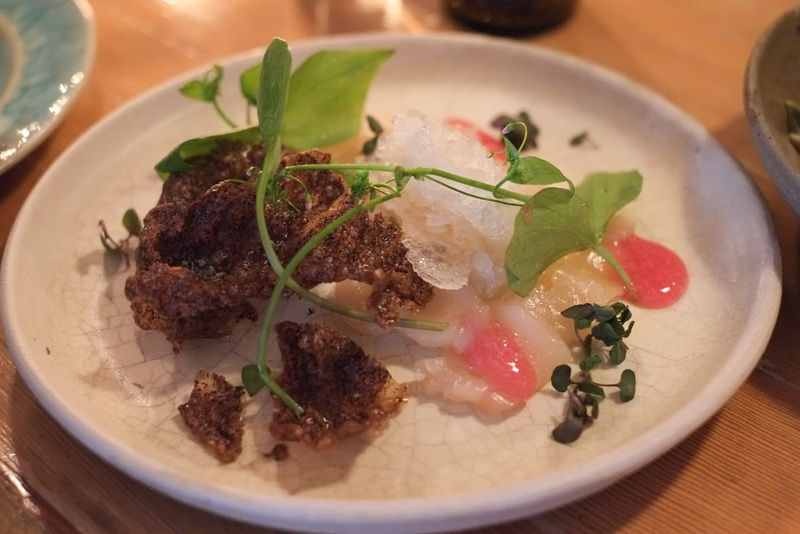 I did love certain elements like the black rice cracker (the dark chips on the left), the sake ice and the cherry blossom glaze…but it was a very subtle dish and some people dove into the gomae first, which bulldozed over a lot of the flavours in this dish. So if you try this dish, you probably should eat this FIRST. The black rice crackers are great though, and I’d love to see them reincorporated into another dish. 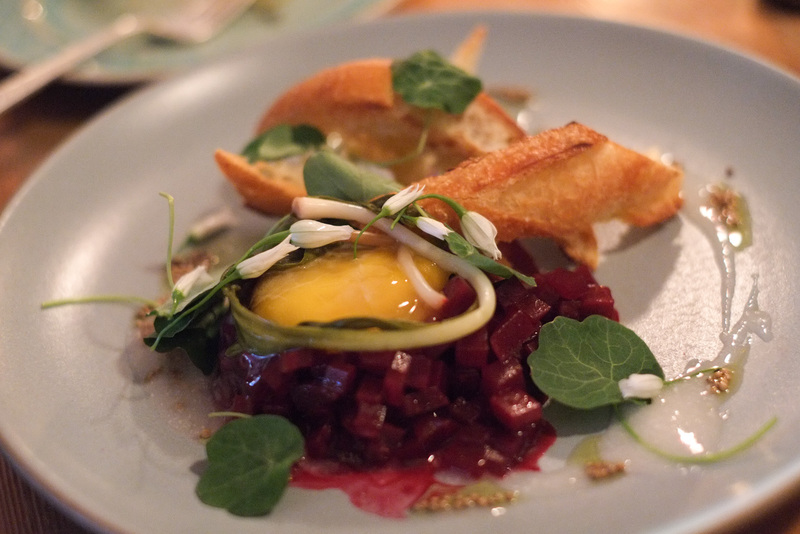 Charred Red Beet Tartare, Pickled Ramps, Toasted Mustard Seed Vinaigrette, Sourdough, Cured Duck Yolk. I was surprised that I loved this dish so much! 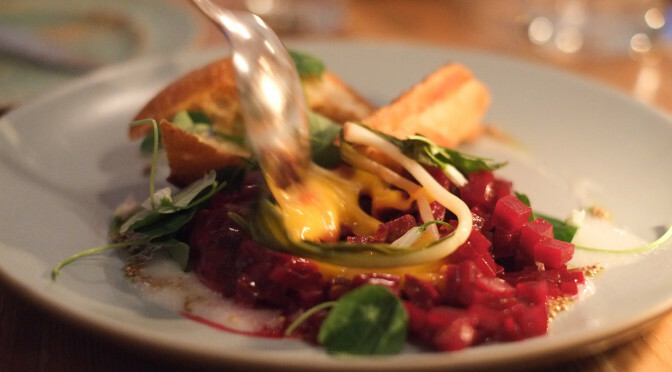 Beet tartare?? Get real…gotta be STEAK! I was so wrong. 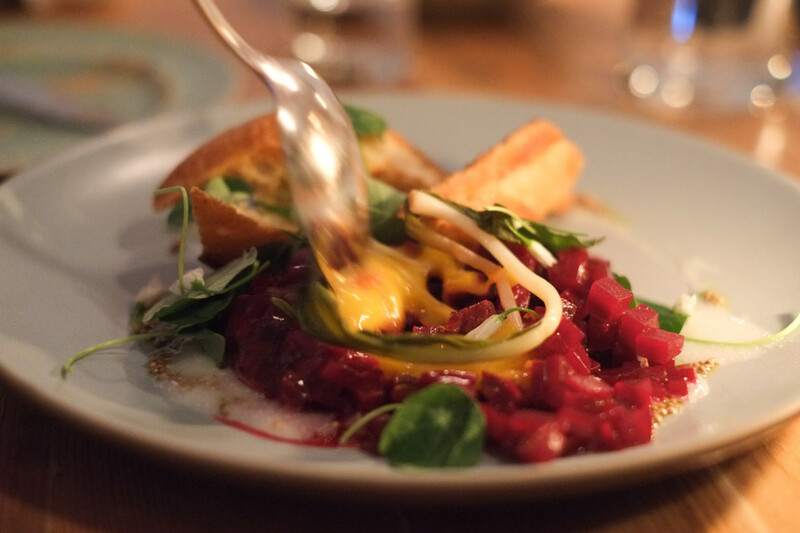 Mixing the cured duck yolk into the beet tartare. Bring on the meat! Buttermilk Fried Chicken, Sweet Onion, Biscuits. So good!! But the portion size is SUCH A TEASE! I could eat two plates of this by myself. Buttery biscuits with the perfect amount of crumbliness. Juicy morsels of chicken encased in a crunchy, well-seasoned batter. The charred onions on top were an amazing touch that complemented the dish in that special, unique way. Who pairs charred onions with fried chicken?? Who? Touches like this show the amount of care and thoughtfulness behind the food. 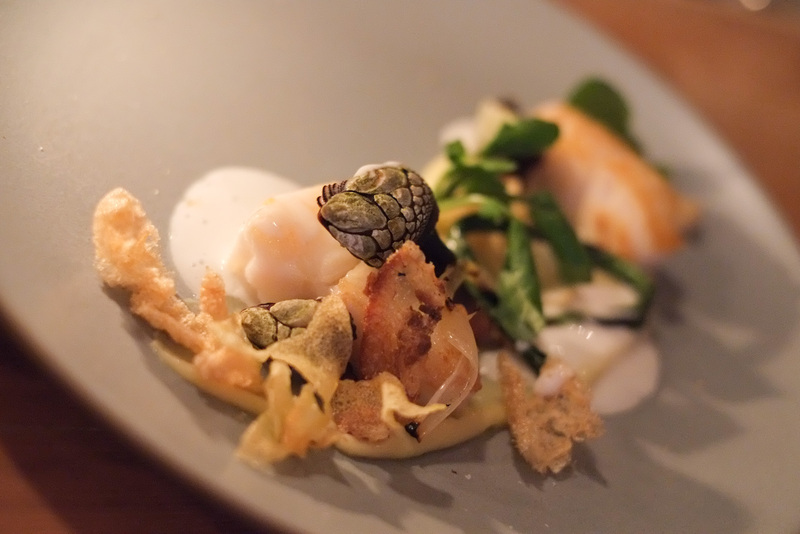 Seared Ling Cod with Crispy Pig Trotter, Gooseneck Barnacles, Potato Puree, Spring Onion, Kefir. 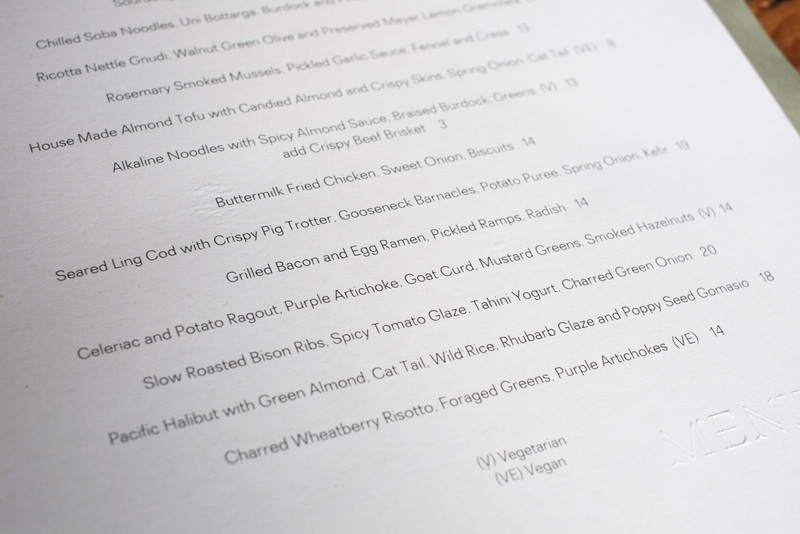 Succulent, perfectly-cooked pieces of ling cod. I couldn’t believe those light, crispy, airy, cornflaky-looking pieces were pig’s trotters! The highlight was the goosebeck barnacles though. They’re like mini-geoducks! You grab the shell and bite the…uhhhh…siphon/tentacle and pull everything out. I got a bit of a sandy texture in mine, but it didn’t detract too much from the enjoyment. Who knew barnacles tasted so good? 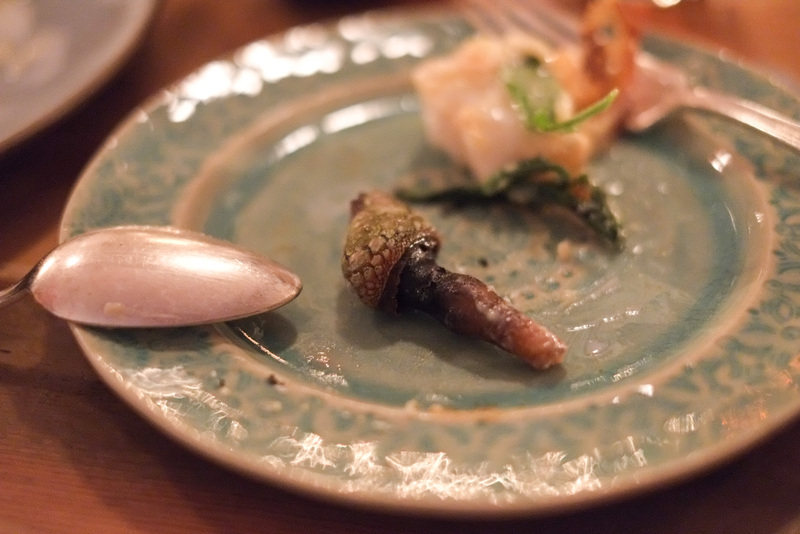 Tastes like squid/abalone/geoduck/etc. If you choose to bite off the end, you’ll see that the cross-section looks like this. Probably best not to stare directly at it. Alkaline Noodles w/ Spicy Almond Sauce, Braised Burdock, Greens. Man, I built this dish up in my head for days before this, so I was afraid that I’d just be disappointed but I wasn’t! It was excellent! Spicy, nutty…it’s like a deluxe version of tantanmen from G-Men or something, except with a thick nut sauce instead of soup. 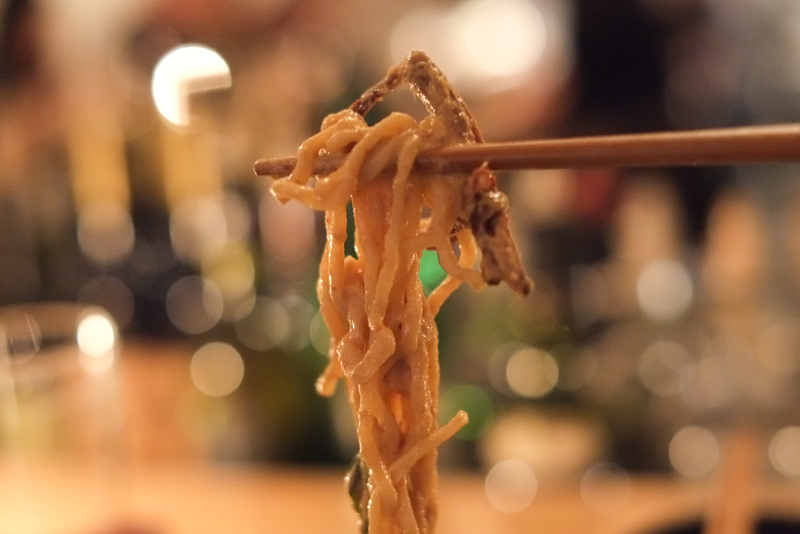 The noodles had that slightly firm and springy texture that’s quite addictive, and is enhanced by the inclusion of strips of burdock (an underappreciated vegetable…Koreans know where it’s at!). We added “Crispy Beef Brisket” for an extra $3 and it was well worth it! The long, crispy strands of beef added that perfect element of meatiness and texture to the noodles, sauce and veg. I dunno how they come up with this stuff. Or maybe I don’t get out enough 😛 Crispy beef brisket!! I love how the sweet nuttiness and the chewy noodles hit you first, then you get thrilled by the crispy beef, then the spiciness comes on. Not too spicy but not too subtle either, the spiciness level is perfect and just makes you want to eat more! Try it before they take it off the menu! 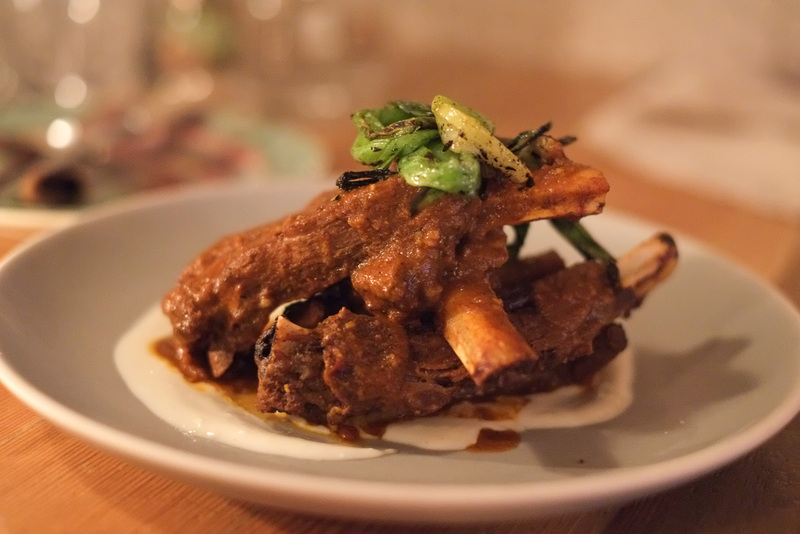 Our meaty finish: Slow Roasted Bison Ribs, Spicy Tomato Glaze, Tahini Yogurt, Charred Green Onion. A touch salty but very tender. Hints of star anise? Lovely with the yogurt. The meat itself was a bit salty, so it must’ve been from the rub or something rather than the glaze/sauce. Charred onions make another delicious appearance. 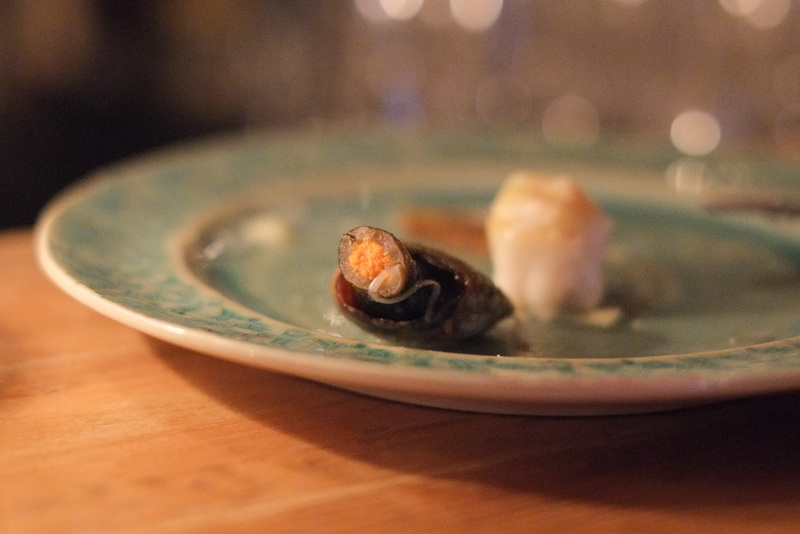 A great dish just hampered by the salt. I love the elevated food in a casual atmosphere. It was really fun sitting at the bar and chatting with the friendly staff. They love the food that they serve and it shows. After lots of waffling and flip-flopping, we decided to get a dessert after all. Baked to Order Salted Chocolate Chunk Cookies, Smoked Malted Milk. Cookies were crispy outside, gooey, warm and moist on the inside. Touch of salt enhanced the sweetness of the chocolate. 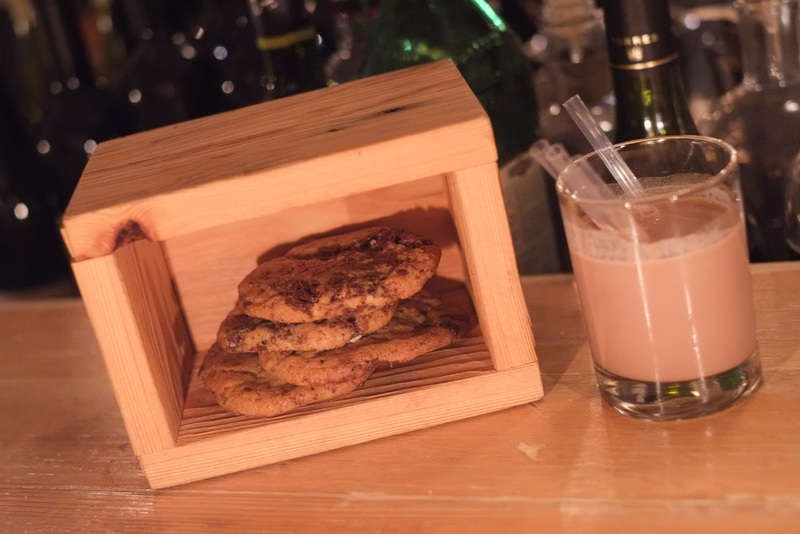 Smoked malted milk is an inspired match. The smokiness reminded Wilhelmina of bacon. I thought of all the smoked beers that I’ve had. Love the box. 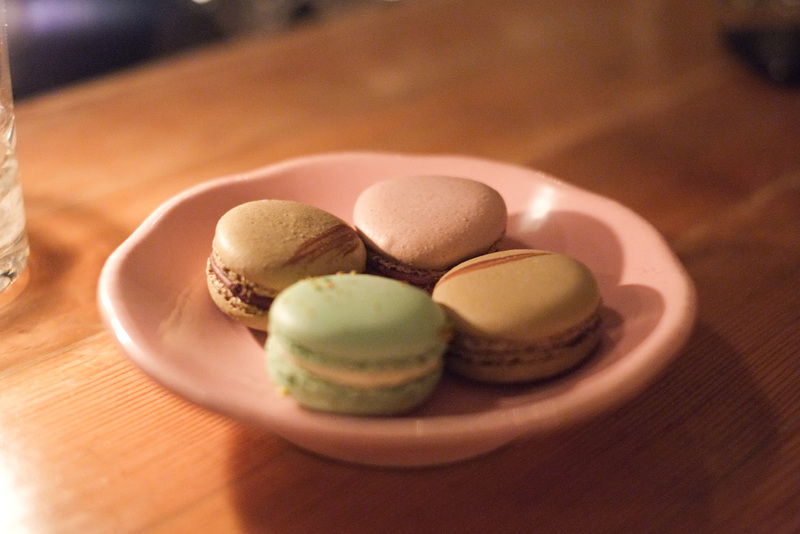 Wilhelmina approved of the complimentary macarons. They treat you nice here! Food came out at a nice pace, with minimal lags. Service hit that balance between attentiveness and leaving you alone. 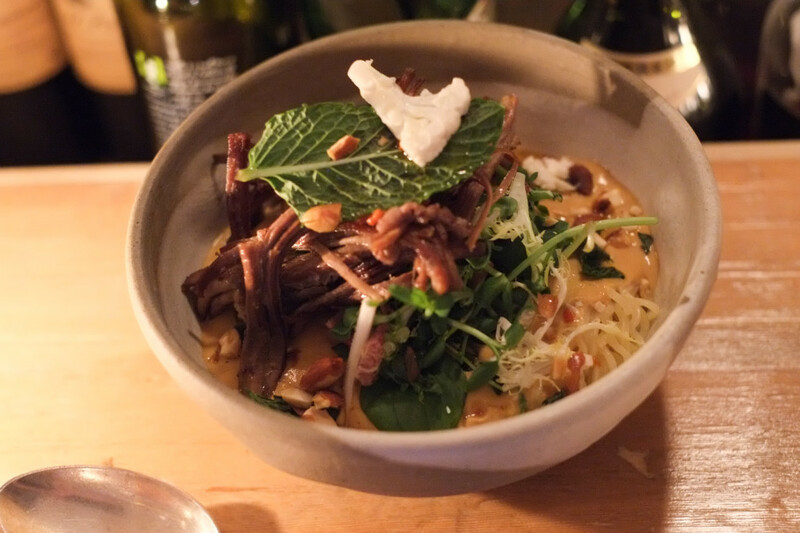 There’s a lot of work behind these dishes but you can see and taste the payoff. Beautiful presentation and plating without being too fussy or pretentious. Some people might complain about the serving sizes. 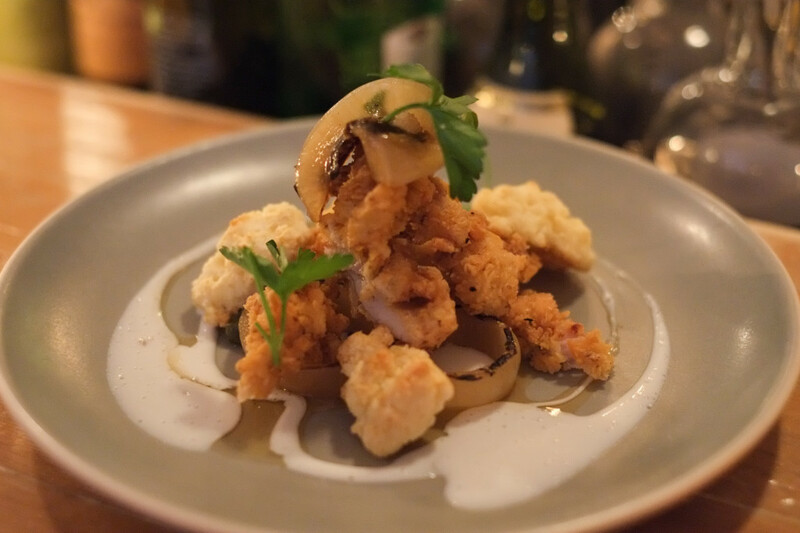 The fried chicken and ling cod dishes are probably best shared between two people at most (or not shared at all! ), so double your order if you want to share between more than two people. Our dinner for 4 people (with 4 beers) came to ~$150 (before tip) and I think that’s completely reasonable considering the level of cooking and quality of ingredients. If you’re worried about money in any way, leave that thought behind when you walk in the door and just enjoy the experience! You deserve it! 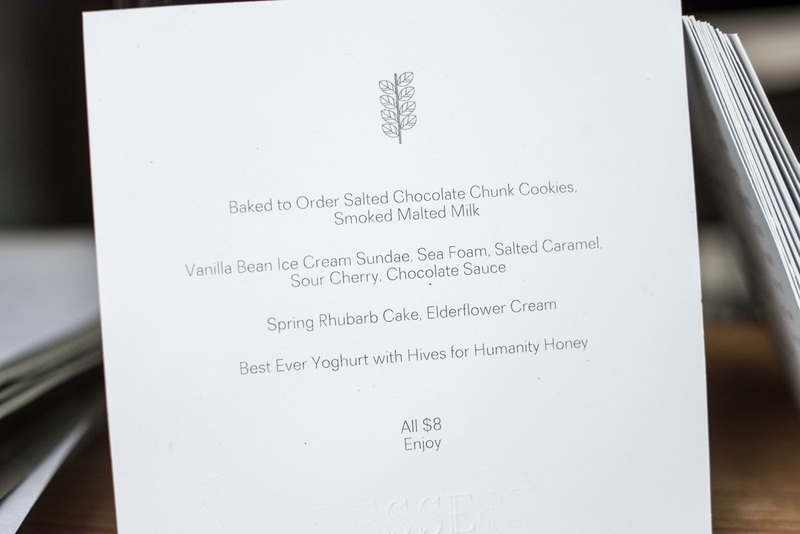 Full menu and prices are on their website. You should expect to order 1.5 to 2 dishes per person.